This is an NIH-funded MRI study of adolescents with bulimia nervosa (BN) that is aimed at understanding neural factors that might contribute to illness persistence. Recruitment for this study is currently closed, as we are now analyzing our longitudinal data. This study is aimed at understanding the neural correlates of reading disorder in children. Recruitment for this study is currently closed and data analysis is underway. 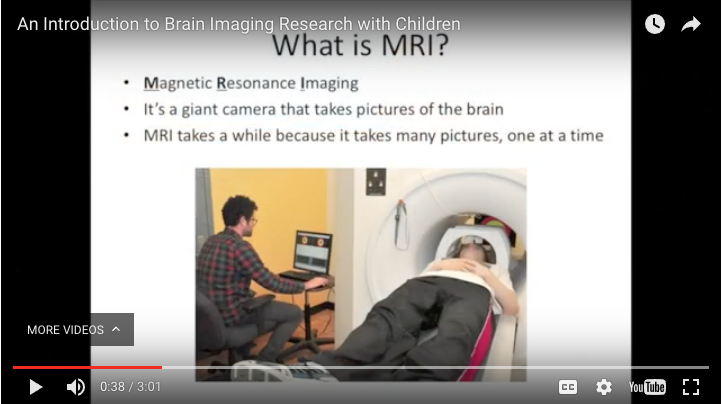 What Is It Like to Participate in an MRI Research Study?